Let's get little ones ready to learn! Join us for a story, puppets, music and movement, interactive rhymes, shaker egges and more! Children must be accompanied by an adult who will guide them through the activities. No charge to attend. Join us at the library for a Fortnite gaming experience! Let's encourage the development of pre-literacy skills. Join us for stories, songs, fingerplays, thinking games, and a craft. There is no charge to attend. Children are invited to wear their pajamas and bring a stuffed animal. Running from Anxiety is a non-profit organization working to remove the stigma associated with mental illness. Our work comprises organizing community events, e.g., community runs and support group meetings to open up the dialogue and get moving to cope with anxiety and depression. Please join us to share stories and discuss struggles in an effort to support our respective journeys to emotional wellness. Kindergarten “Here I Come” will be presented by Carol Carver from Self Help Incorporated on Mondays, April 22- May20 from 1:30-2:30 p.m. This program is for children who will be entering kindergarten in the Fall of 2019 and their grown-ups. The focus of this five-week group will be to promote kindergarten readiness skills along with learning how to make the transition to kindergarten less stressful for the child and the parent. During each session children will participate in exploration play, meeting time, story time, crafts, snack, and music and movement. There will be parent handouts with specific information related to kindergarten transition. Participants are strongly encouraged to attend each session. To register, email Carol Carver at ccarver@selfhelpinc.org or call 508-559-1666 ext. 1811 This program will be held in the Children’s Story & Craft Room. Space is limited. Let's encourage the development of pre-literacy skills. Join us for stories, songs, fingerplays, thinking games, and a craft. There is no charge to attend. SAC meeting to review the Gillette Stadium Special Permit requests for Monster Jam and Premier League Lacrosse events. The mission of The Idea Pit is to encourage critical examination of political beliefs. We provide a forum for people with conflicting viewpoints to challenge, defend, explore, alter, and ultimately understand the roots and consequences of their positions. We encourage participation from all points of the ideological spectrum, regardless of any past interest or involvement in political discourse. The Idea Pit is a spirited, but friendly, environment to engage in substantive dialogue over the issues that most affect us. This is a support group for parents and caregivers of children with OCD and severe anxiety. Clinical psychologist and author, Beth Kurland, will discuss strategies from her newest book, “Dancing on the Tightrope: Transcending the Habits of Your Mind and Awakening to Your Fullest Life.” Through talk, experiential exercise and discussion, Beth will teach you how to overcome common inner obstacles, and how mindfulness and other tools can help you cultivate resilience, reduce stress, and create well-being in your daily life. Copies of the book will be available for purchase at the event. This is a meeting of the Foxborough Community Game Night. We will be playing various board and/or card games. People are welcome to bring their favorites to try out. The goal here is to expose each other to new and exciting board/card game experiences. All are encouraged to attend. Please join us for a reception with artist Alan Teperow to view his acryllic paintings of landscapes, seascapes, family and abstract representations. New to painting, Alan began his artistic experimentation following his retirement in 2015. Light refreshments will be served. Alison O'Leary talks about the Hidden Gems of New England. Based on the new book Inns and Adventures, by Alison O’Leary and Michael J. Tougias, Hidden Gems of New England takes audiences on virtual trips over mountains and through back roads of Vermont, New Hampshire and Western Massachusetts. It’s great inspiration for trip planning! Miss Pam of Musical Journeys will present songs, movement activities, rhymes, and stories to support healthy socio-emotional development in young children and families. Sponsored by the Friends of the Boyden Library and supported in part by a grant from the Foxboro Cultural Council, a local agency which is supported by the Massachusetts Cultural Council, a state agency. Author Mike Shalin will speak about his book, The Hometown Team: Four Decades of Boston Red Sox Memories. For the past fifteen years, Mike has served as the official scorer at Fenway park. Have a good time and play some strategy board games. Learn, teach and have fun. We will be playing modern strategy board games that are growing in popularity everywhere. Board gaming is a social pursuit that promotes fun, social interaction, mental challenge with a dose of healthy competition. You do not need to own any games to take part, group members will bring their own games along for the group to play; this allows people to try many different games to find which ones they enjoy. There are many different types of games that suit all people and their tastes; these range from short and fast multi-player games to longer, deeper games that require the players to develop strategies to win. Newcomers are welcome, we will teach people the games and have a wide selection that are suitable for newcomers while still providing a fun and challenging experience. Ages 16+ please. Join Miss Helina for a fun springtime craft. Children will learn art techniques while they work on a project they will love! Many of my current works are focused on noticing and bringing attention to common occurrences that can be seen and experienced in nature. Unusual points of view and close-ups of smaller organisms are exposed to engage the viewer with these life-forms. It is my hope that one may develop a more observant eye and a sharpened awareness of their senses to enjoy and peacefully co-exist among the non-human beings with which we share this planet. Lindsay Nygaard gets inspiration for her paintings through observations and interactions with nature. She keeps a camera and sketchbook nearby to document her interpretations either through photography or by writing and sketching. Nygaard enjoys traveling to the many National Parks in the U.S. and visiting local wildlife sanctuaries, and is in awe of the variation of the flora and fauna. She also finds solace in outdoor activities including hiking, bird-watching, and gardening. Join us for a free family concert by the Foundry Five woodwind quintet. The Foundry Five plays a diverse repertoire of music including classical, folk, and pop. A group of students from Foxborough High School and the Foxborough Charter School, the quintet started rehearsing together in March of 2016 after being inspired at the Southeastern Massachusetts Junior District Festival to play at a higher level. 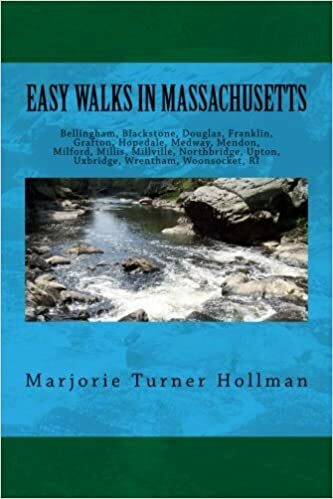 Join Marjorie Turner Hollman, author of the three Easy Walks in Massachusetts guides, at the Boyden Public Library Thursday, May 2 at 6:30PM. Marjorie has been working closely with the Massachusetts Walking Tour, which will be arriving in Foxborough for a free concert Thursday, June 20. See pictures of a past visit of the Walking Tour to this area. Enjoy slides of beautiful places around the corner from where you live. Learn where you can find easy walking paths, great railtrails, beautiful views of the Blackstone River, Ten Mile River, short walks to sweeping vistas along the Upper Charles, and the Neponset River watersheds, and more. Each Easy Walks book in the series covers a number of contiguous towns in south central and southeastern MA, and a few neighboring Rhode Island towns as well. Every suggested walk is parent, grandparent, and kid-friendly. Some are handicapped accessible, and many are handicapped friendly. All dog-friendly trails are noted. Each book is $20, get all three for $45. Books will be available for purchase after the event. Meeting with people from Foxborough who are interested in vocational rehabilitation services. Norfolk County Register of Deeds William P. O’Donnell has been invited to speak to the general public as a guest of the Boyden Library. The short speaking program will touch on the historical nature of the registry and the register’s efforts to modernize and computerize the vast number of Norfolk County real estate records. Following his remarks, the register will be available to answer individual questions. Explore the science of gels, fragrances, and fizzers. Aspiring scienctists will be able to make colorful and fragrant bath bombs, lotions, bubbles, lip balm, and more. Our fun and fabulous DIY recipies allow you to mix colors, all natural ingredients, and fragrances to create a safe and luxurious spa experience. Learn about chemical reactions and why they happen. Its pure indulgence- and it's science. Presented by Marla Cohen of the Stony Brook Wildlife Sancutuary. Allergy alert: Please notify Marla of any allergies upon your arrival. Supported in part by a grant from the Foxborough Cultural Council, a local agency which is supported by the Massachusetts Cultural Council, a state agency. Rehearsal for Fame the Musical due to the Orpheum being used by another group. The 10th Annual Massachusetts Walking Tour is sponsored by a Massachusetts Cultural Council Grant. Summer Event: ScienceTellers Aliens: Escape from Earth! 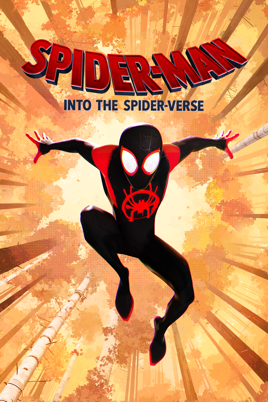 The unbelievable world of science will be discovered in this action-packed intergalactic adventure through experiments with chemical reactions, polymers, inertia, explosions and more! It's totally out of this world! To register, click Register below or call the Children's Desk at 508-543-1246. Sponsored by the Friends of the Boyden Library, there is no charge to attend. Get ready to hop and dance your sillies out! A lively interactive musical event. Join us for stories, songs, fun thinking games, and a craft. Children are welcome to wear pjs and bring a stuffed animal. A fun way to develop early literacy skills! Join us for stories, songs, fun thinking games, and a craft. A fun way to develop early literacy skills! Ages 0-3 Registration not required. Get little ones ready to read and learn. Join us for stories, puppets, interactive rhymes, shaker eggs, & more! Children must be accompanied by an adult who will lead them through the activities. Join Ed the Wizard to build and fly air-powered rockets and airplanes. Learn the properties of flight. then put your skills to the test. You're in the pilot's seat! Sponsored by the Friends of the Boyden Library. There is no charge to attend. Join retired Forensic Scientist Paul Zambella for an adventure into the world of Crime Scene Investigation. Join Sara for yoga, games, breathing exercises, and a cool activity. Sponsored by the Friends of the Boyden Library. Summer Event: Teddy Bear Picnic! All Ages Registration Not Required Raindate: Thursday, July 25 10-11 a.m.
Bring your bear, a blanket, and a morning snack to Foxboro Common and enjoy teddy bear songs and activities by Miss Tina! Everyone is invited to bring a new children's book to jumpstart our Holiday Book Drive. For pubic safety reason, please leave real pets at home. This reservation is for a community Narcan and CPR training held by the SAFE Coalition. This training would provide life saving training to community members and would provide trainees to leave with Narcan. The SAFE Coalition will provide trainers, Narcan, and CPR dummies. There will be time for questions and comments at the end.